​Join our team for this 8 Day Guiyang to Guilin Tour and adventure across different provinces with incredible scenery, villages and more! 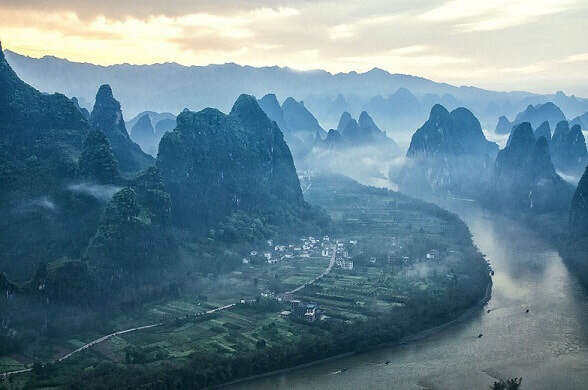 The Guiyang to Guilin Tour is a perfect choice for visitors looking to experience the karst formations in and around Yangshuo, attractions of Guilin, Longji Rice Terraces, traditional villages and ethnic minority cultures in Guizhou Province and China's largest waterfall, Huangguoshu! This tour is a perfect choice for visitors seeking to experience a diverse range of things to do. 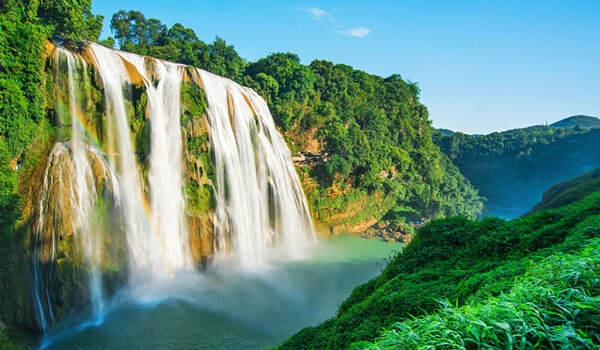 Arrive into Guiyang the day before your tour is scheduled to begin as the tour is focused on attractions in the Guiyang area for the first two days. We can also accommodate pick-up from airport or railway, depending upon your preferences. 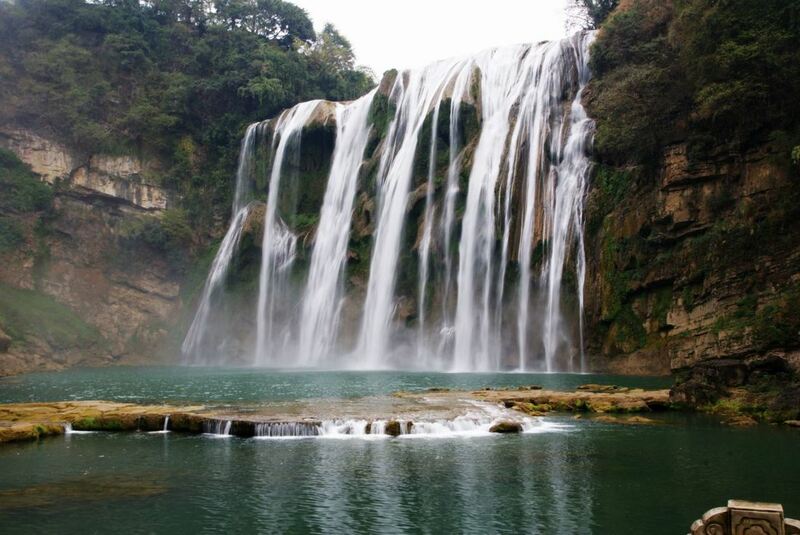 In the afternoon, return to Guiyang and explore the city at your leisure or with your tour guide during the afternoon. 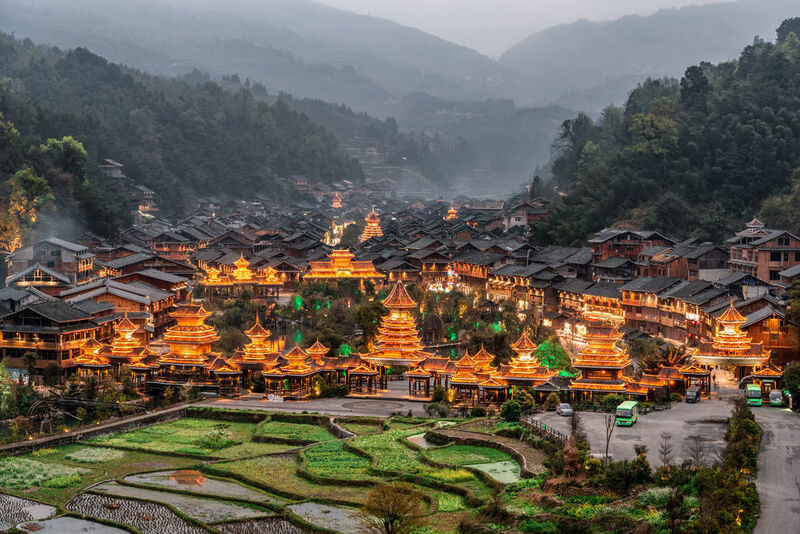 ​In the morning, your tour guide and driver will meet you from your Guiyang Hotel and you will be transferred to the Guiyang Railway Station to take a high-speed train to Congjiang in South-Eastern Guizhou Province and home to various Ethnic Minority groups. 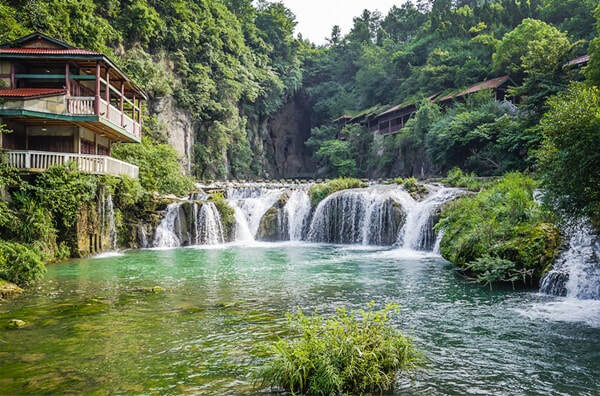 After arrving into Congjiang, you will be transferred to an off-the-beaten track village of Huanggang. Here, it feels like going back in time and a major change from the nearby Basha and Zhaoxing villages! 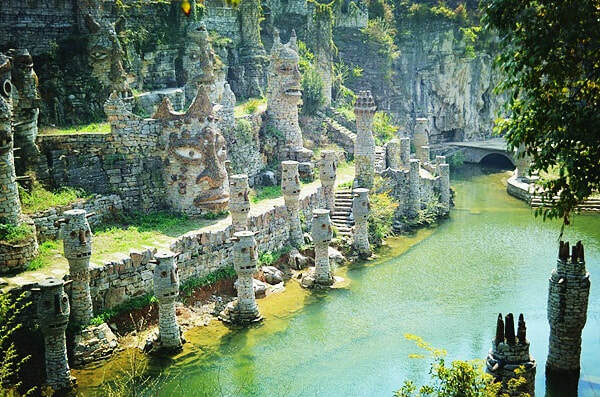 You will get to see a village 'lost in time' and of which the majority of Guizhou Province's villages previously looked like. Aside from the village exploration, we assist the local community by arranging a private performance where the famous 'dong choir' songs are sung by local villagers. 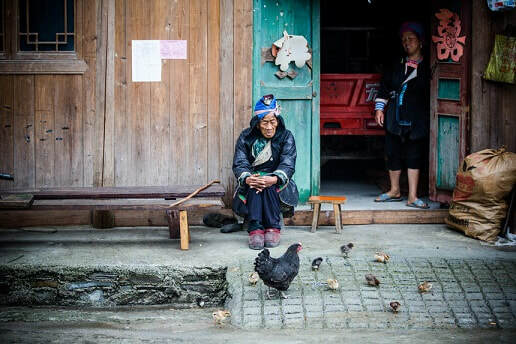 In the afternoon, visitors can choose to visit - Basha Miao Ethnic Minority Village. 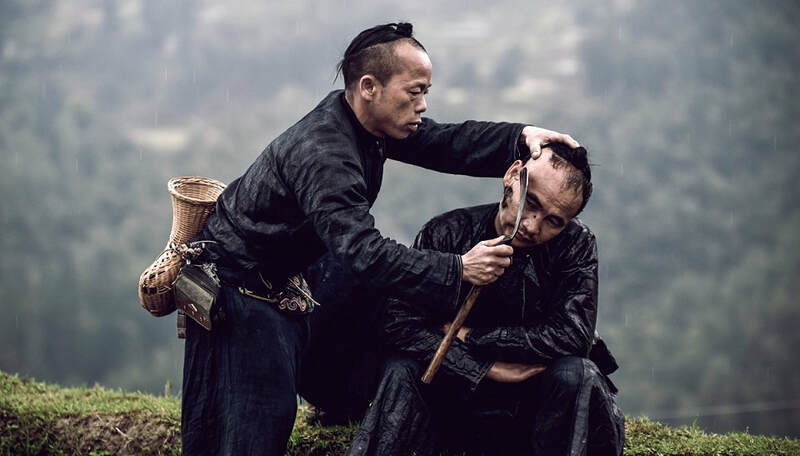 This particular village is home to the Basha Miao Ethnic Minority - the last hunter-gatherers in China permitted to have guns. Afterwards, you will be transferred to the Zhaoxing Dong Ethnic Minority Village, to enjoy an evening or daytime performance and spend the remainder of the evening at leisure. During the morning, your tour guide will meet you at your Zhaoxing Village Hotel and you can further explore the village. There is an option to hike to a nearby village (Tang'an Dong Minority Village) and there are a number of Rice Terraces and paddy fields throughout this village and surrounding areas. 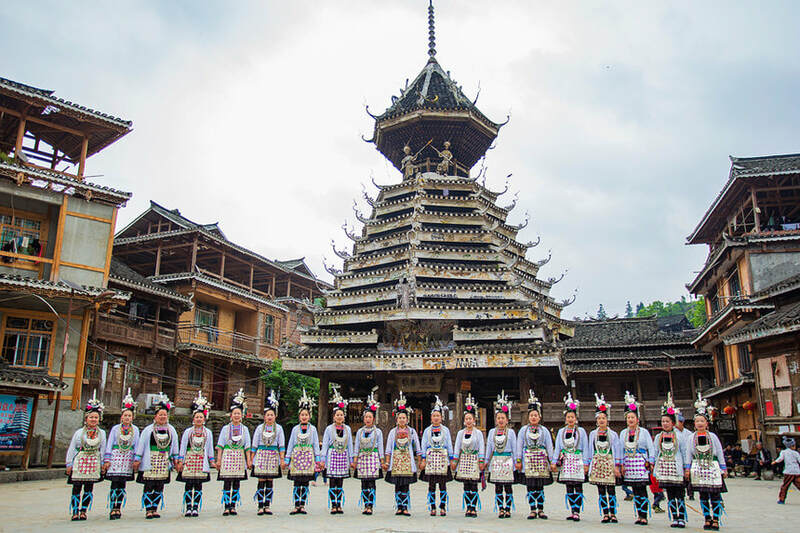 After exploring the bridge and villages, you'll be transferred into Northern Guangxi Province to visit the town of Sanjiang where you will see the Sanjiang Drum Tower before enjoying the rest of the late afternoon and evening at leisure. 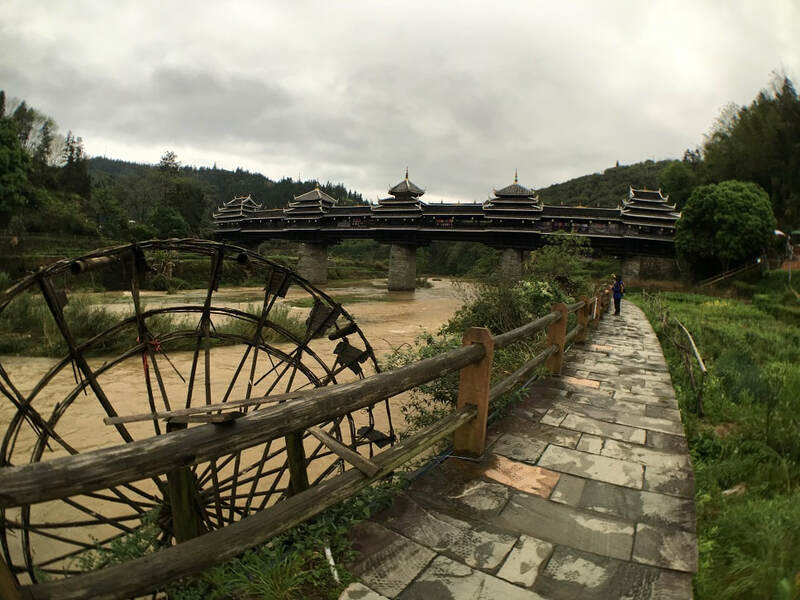 In the morning, depart from Sanjiang and visit the Chengyang Wind and Rain Bridge, which is one of the most famous landmarks in Guangxi Province and an example of one of the many Dong ethnic minority bridges in the region. Aside from this famous bridge (which has been constructed without a single nail), you can also choose to explore the surrounding villages. There is a nice hike up to the nearby hill offering a panoramic view overlooking the villages and bridge (optional - no additional fee). Following the visit to Chengyang, you'll be transferred to the Longji Rice Terraces, which are a highlight of this area, North of Guilin. 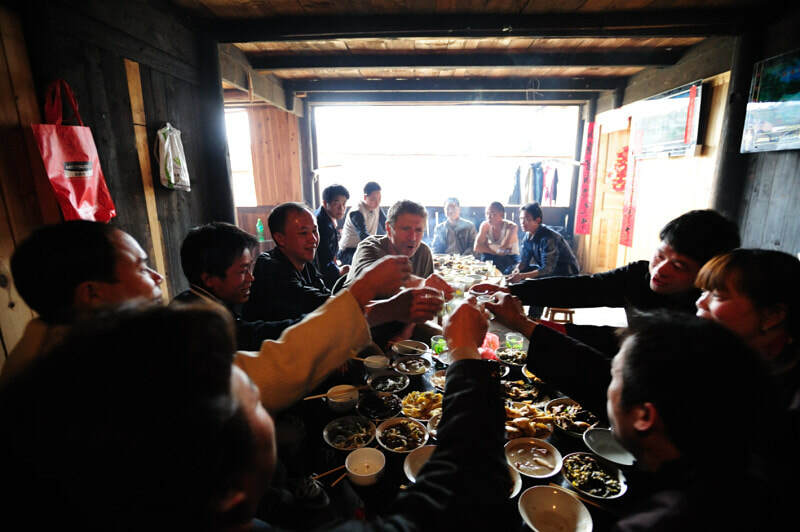 The first stop, is the Longji Zhuang Village, where you will be invited into a local family's house for a traditional Bamboo Chicken Meal (low-key). 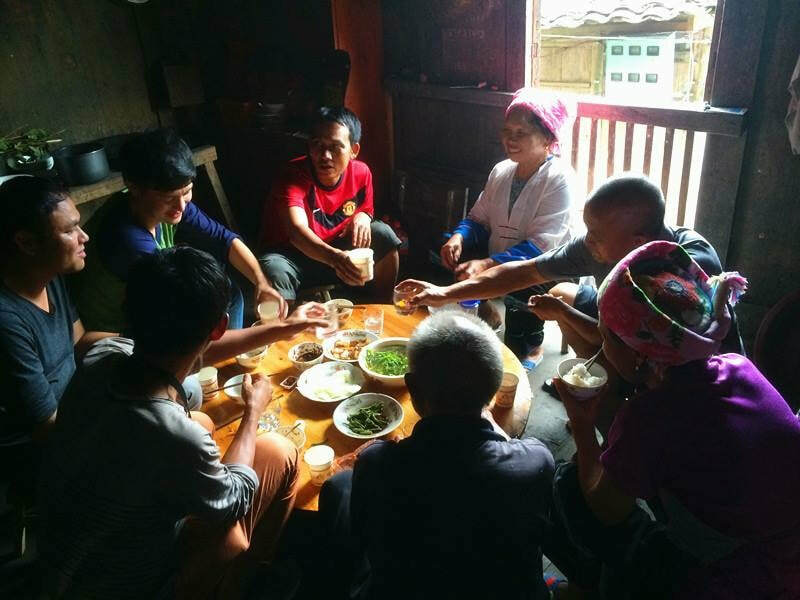 Following the local meal, explore the Longji Zhuang Village before commencing the hike to the nearby village of Ping'an. For reference, it takes between 40 - 60 x minutes to hike between the villages and the trail offers spectacular views overlooking the Rice Terraces and forest. Alternatively, for visitors who'd prefer not to hike, there's also an option available to be transferred directly to Ping'an Village. 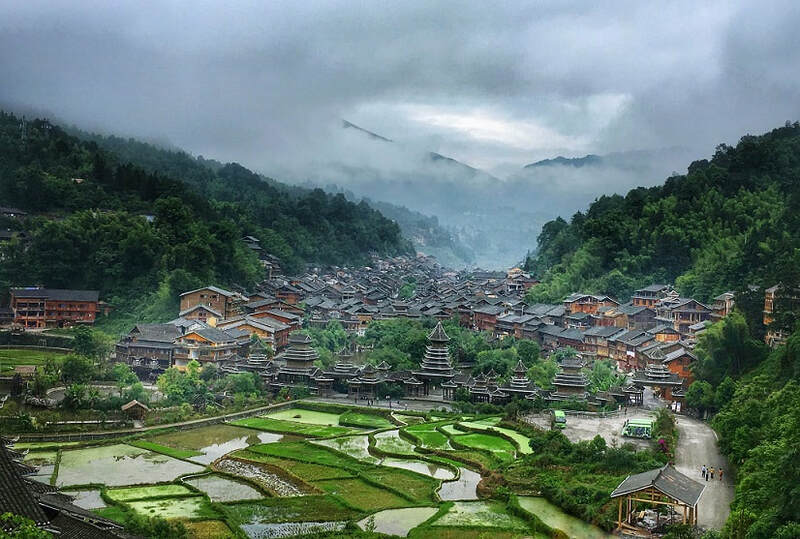 Upon arriving into Ping'an Village, visitors have the option to further explore the Rice Terraces Viewpoints or alternatively, check in to the Ping'an Village Hotel and enjoy the late afternoon/evening at leisure. Meet your tour guide in the morning at your Ping'an Village Hotel (meeting time is flexible and can be discussed with your tour guide). 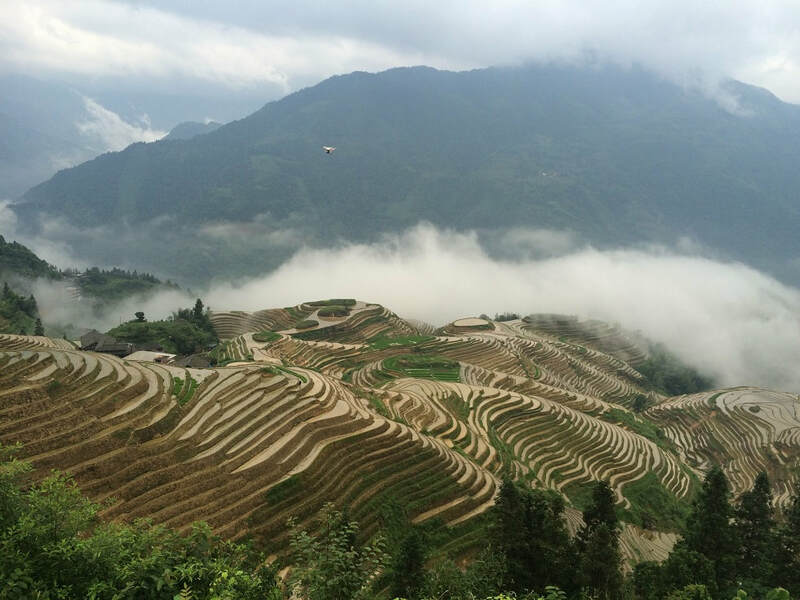 You can then further explore the Longji Rice Terraces or be transferred to the Jinkeng Rice Terraces, which typically takes approximately 45 x minutes from Ping'an Village. Upon arriving into Dazhai Village, you have a couple of different options that can be discussed with your tour guide, depending upon preferences. Following the visit to Jinkeng Rice Terraces, you'll be transferred to Guilin, which takes approximately 2.5 x hours. 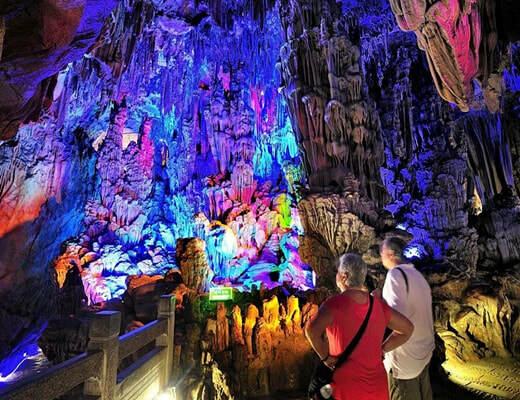 Along the way, stopover at the Reed Flute Cave, which is Guilin's most famous and spectacular cave within the Karst landscape. ​The Reed Flute Cave is a large limestone cave located on the outskirts of Guilin city and allows visitors to get inside and see what's beneath the karst formations. ​A visit to the Reed Flute Cave takes approximately one hour and afterwards, subject to time (and your preferences), you're welcome to explore the central city lakes, pagodas and snack streets with our guide during the late afternoon/evening. You will be transferred to your Guilin City hotel, where the evening will be at leisure. ​Meet your tour guide in the morning and travel to Xianggong Hill, which is located in the Yangshuo Countryside. 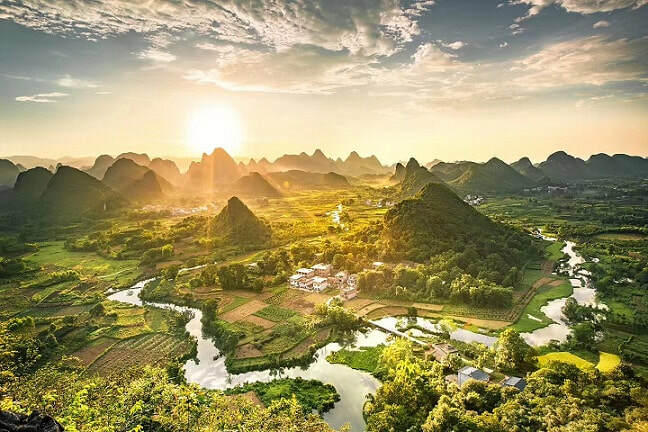 After walking uphill for approximately 15 minutes you will see some beautiful views overlooking the Yangshuo countryside consisting of rivers, rice paddies, villages and karst scenery. Following the Li River Cruise, you will be transferred to Yangshuo from Xingping to check-in to the hotel and subject to time, enjoy an afternoon at leisure. Visitors also have the option of exploring Xingping and the surrounding Xingping Old Town (although please be advised that it has been reconstructed so many of the ancient buildings are no longer original). ​In the evening, enjoy a stroll along West Street with some dinner (not included in pricing) before watching the famous Impression 3rd Sister Liu Show which is held on the banks of the Li River during the evening. 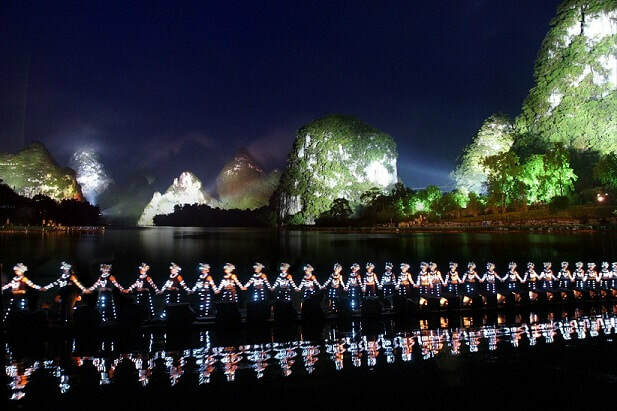 At the show's conclusion, you'll be transferred to your Yangshuo hotel for the rest of the evening at leisure. 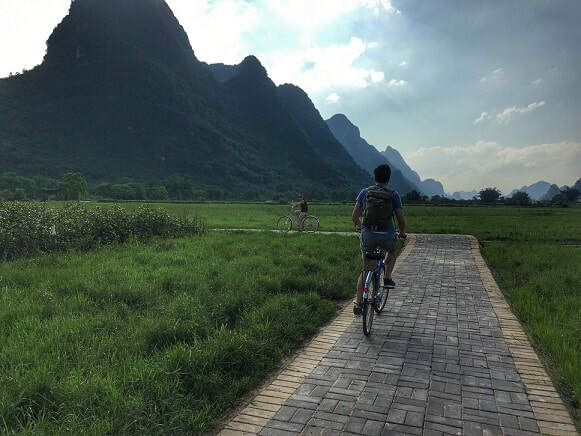 In the morning, your tour guide and driver will meet you at your Yangshuo Hotel to commence the day's activities. The first stop of the day is Xianggong Hill, which offers one of the most spectacular views overlooking the Li River - Xianggong Hill. Xianggong Hill overlooks the river and karst scenery. 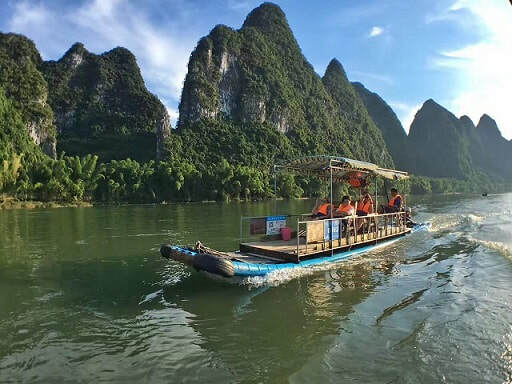 Thereafter, be transferred back to your hotel in Guilin or Yangshuo, or alternatively, conclude the tour with an airport or railway station transfer. END OF TOUR.